This week's theme is wintry reads, so I've collected some books that all seem to be great for the winter season. They aren't all "cozy" reads, but they all give off either cold snowy vibes or have a story that I feel is great for this time of year (unless, you know, you're in Australia or something). 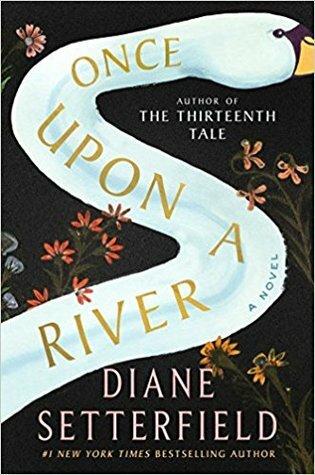 Once Upon a River by Diane Setterfield: I just reviewed this one yesterday, but I had to include it here because it honestly feels like the perfect book to read on a cold winter day. Once Upon a River takes off in a small town when a little girl who appears to be drowned is brought into an inn known for storytelling--and ends up not being dead after all. 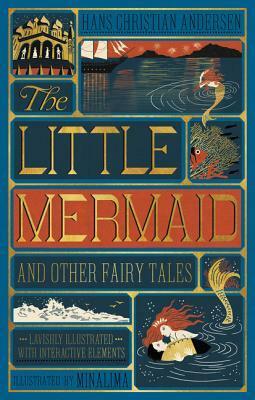 The Little Mermaid and Other Stories by Hans Christian Andersen: These aren't all necessarily set during the winter season, but I always think fairy tales and the winter season match up perfectly. Classic stories with a comfy night in? Sounds good to me. The Golden Compass by Philip Pullman: It's cold and there's snow and a polar bear. Plus it's a magic and classic story, so what could be more perfect for a winter read? 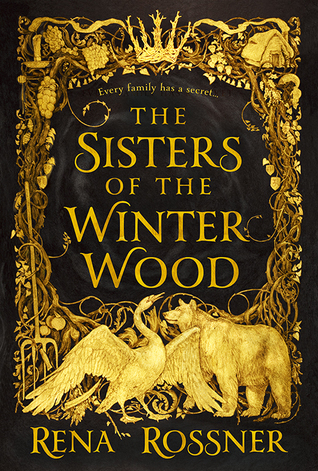 The Sisters of the Winter Wood by Rena Rossner: I think this one would be a good reads for both fall and winter because of it's lyrical prose and the folktale elements that are also included. The Sisters of the Winter Wood, told in both prose and verse, is about two sisters that must figure out what they want in life; it is a loose goblin market-inspired story. 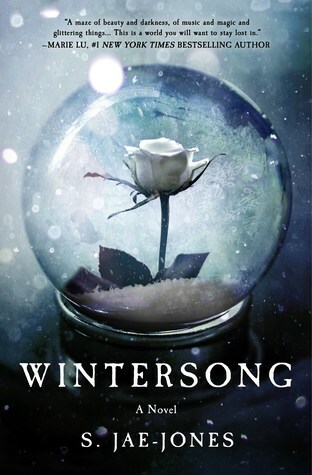 Wintersong by S. Jae-Jones: It's dark, magical, and definitely has a bit of winter chill to keep things wintry. Wintersong is another gobin market-inspired story about a girl named Liesl who travels to the Underground to save her sister from the Goblin King--and ends up in a rather precarious position. 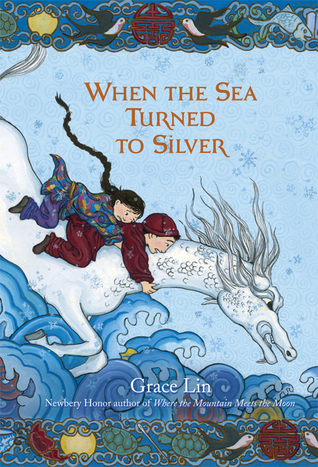 When the Sea Turned to Silver by Grace Lin: I don't recall there being much of a winter season in this book (it's been a while, so I could be wrong), but it still has a very cozy magical quality that I think fits perfectly. It's also a middle grade book so I think that lends itself quite nicely to a 'cozy' read. 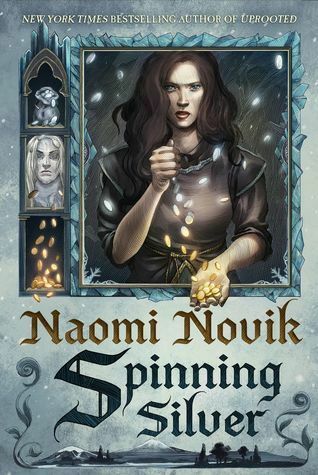 Spinning Silver by Naomi Novik: It's cold, it's fairy tale inspired,and it's perfect. Spinning Silver mainly follows three different young woman on separate journeys that eventually comes together in different ways. It is loosely Rumpelstiltskin-inspired. 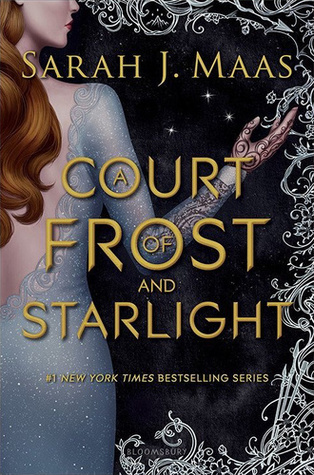 A Court of Frost and Starlight by Sarah J. Maas: I know a lot of people disliked this book and thought it was a waste of a book, but I thought it was a really fun and useful bridge to a new series that was also the perfect holiday book. The gang is celebrating the Winter Solstice, so there is friendship, drama, and the struggle of finding the perfect gift for everyone you love. 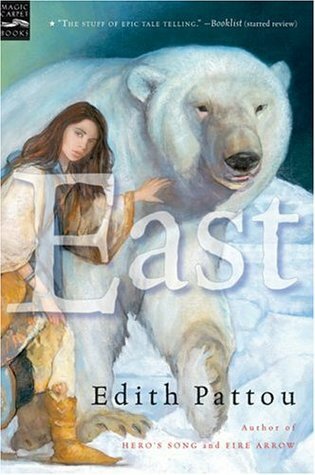 East by Edith Pattou: Another wintry tale inspired by a classic tale that also has a polar bear, East seems like the perfect book to read this season. And if you need more of it, the sequel, West, is also now out! 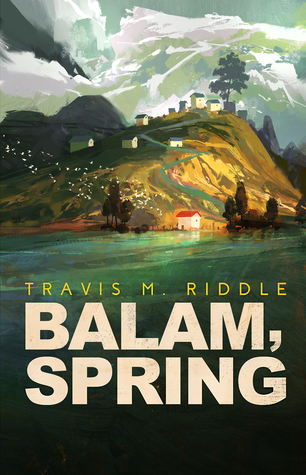 Balam, Sring by Travis M. Riddle: This is not a winter setting in the slightest, but it's a bit of a slice of life story that is so relaxing. There's a bit of a mystery going on at the same time to add some intrigue and I think that this would make a fantastic story. 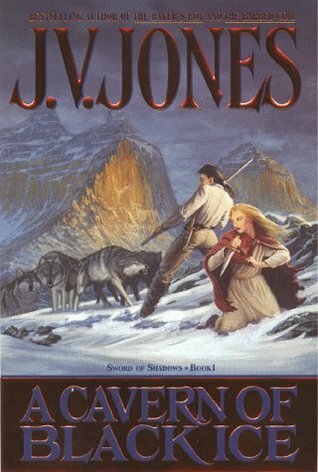 A Cavern of Black Ice by J.V. Jones: I saved this for last because it's the coldest, harshest climate of these books listed here. It is not a happy, cozy winter story in the slightest, but it will certainly make you reach for a blanket. And perhaps something a bit happier. Have you read any of these? What are some of your favorite wintry reads? Great list, so many of these are on my TBR! I've never read the His Dark Materials books, something I'd like to do eventually, and I'm planning to read Spinning Silver over Christmas. Wintersong is another one I'd like to get to and Once Upon a River sounds wonderful. Yes to Hans Christian Andersen stories in the winter! The Little Match Girl, especially, is the perfect (albeit heartbreaking) story for the winter months. The Little Match Girl is one that gets me every time. I remember the first time I read it I was so shocked by how short it actually was, but that impact is still there. I hope you really enjoy Spinning Silver! I've not read any of these, but Naomi Novik is on my TBR! Naomi Novik is just fantastic! I feel you, sometimes those TBR lists seem--or are--endless! I literally just finished Once Upon A River yesterday, so it didn't make my list, but I totally agree, it's a great winter book! And Golden Compass made my list, too! It really is! I'm glad to hear that, I'll have to go check out your list as well! The Golden Compass is a great one! 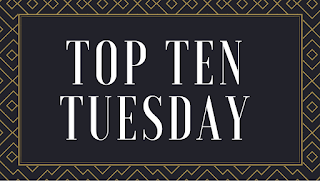 Happy Top Ten Tuesday! It's such a perfect winter read. Thanks! All of those books are so lovely, I can't recommend them enough. I do the exact same thing with so many books haha. It's hard to actually get to them sometimes. I really think it'd be a perfect winter read. I read it when we were already getting hot weather and I just knew it'd be better in the cold weather! I've read the fairy tales (not that exact edition though). I bought Wintersong when it was on sale over Black Friday weekend... haven't read it yet. A lot of fairy tales have a wintry feel to them. Maybe because a lot of them were written during the Little Ice Age. They really do seem like they were made for the winter season. That's interesting! 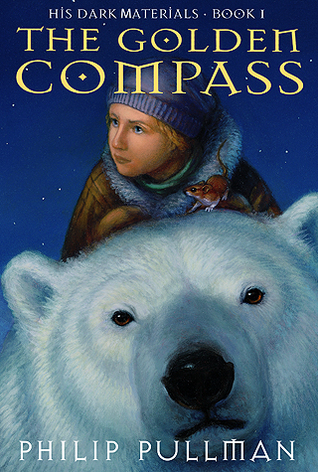 I have The Golden Compass on my TBR - the cover screams winter! It totally does! I hope you get a chance to check it out! These all sound wonderful. I agree about A Court of Frost and Starlight. I had mixed feelings upon reading it but I've grown to really love it. Ah, I'm so excited to read "Once Upon a River"! Same here. It's not the best book, but it's really just a fun little 'slice of life' type peak into their lives. And awesome, I hope you have a chance to read it (and love it!) soon! I was super excited to see East on your list! It's such a great read. Have you had the chance to read the sequel yet? Great list! I love the inclusion of fairy tales. They are the perfect things to read on cold winter nights.